We are asked to cleanse our palate and prepare for incredible activation which shall take place on the 22nd of our solar plexus. Please keep in mind that only those who are ready to have their solar plexus activated, and those who are ready to step into their power will experience this activation. For those of you who are not yet ready, or have not fully let go of the past, you are going to have a fantastic opportunity to do just that! 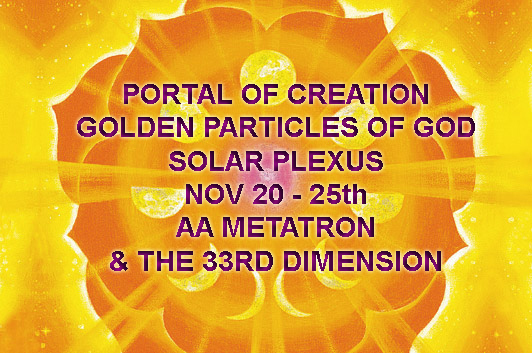 The portal which opens her gates on the 20th – the 25th of November will allow us to not only let go of the past, not only welcome in the new, not only open to our creative energies, not only activate our solar plexus, but also allow us to heal our wounds. Therefore if there is something in your life, or your body that you wish to heal, that you feel you truly are ready to let go of, this is the time to ask for this to occur. WHAT TO DO: The days leading up to the portal, please follow the guide on how to let go of the past (You can find it on my blog here a short one, or a lengthy guide in my book Mission to Earth). Then concentrate on everything that you wish to see manifest in your reality in the month that is coming up. Call on the deity of your choice, or your higher self and ask for your solar plexus to be activated. Then simply listen to your inner voice, to your intuition and watch as synchronistic events unfold before you. UPDATE: I wanted to share this with all of you. As the portal is coming up in just a few days. I found myself being pulled out of a healing session by Baast & Serqet toward an Atlantis pyramid. Atop the pyramid I saw the “morning star” which I took into my hands. Swirling it around it turned into a sun disc and from there I descended into the pyramid. As I descended I saw myself floating through the air hovering above what appeared to be a group of beings all standing around a giant robotic spider. A spider who was weaving a web. There were many of us there, and if any of you reading this message had anything similar happen please let me know by posting below. I want to know if you have experienced this as well. The spider was weaving a matrix. I found myself shooting laser like violet flame beams at this spider, and then another and another. There were so many of them, and we kept destroying one after another. Finally it was over and I was pulled out of this experience rapidly. What I was explained later is that many of us are working with earth matrix. The matrix that was set up in order to experience this 3D world, a matrix that was interfered with by those who wished to bind human souls onto the wheel of karma. This matrix is presently being destroyed, or rather the machines that keep influencing the human psyche to direct their energy to keeping this particular matrix in tact. 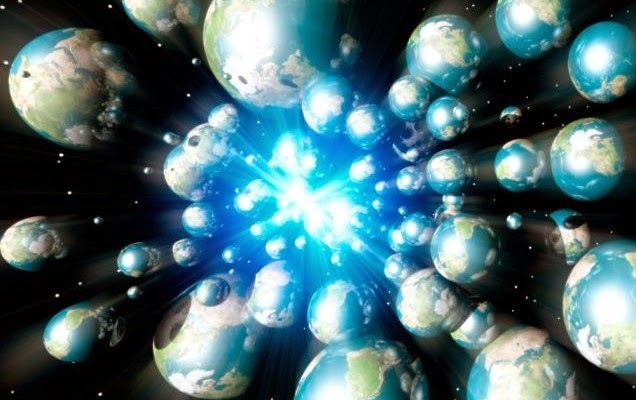 The thing is that there is no longer a need for this matrix, because another matrix which allows for light and love to flourish on GAIA has been created, and is presently being interlaced into our present daily reality. That is why the portal that is coming up is going to be very important as it will allow those of you who are ready to be guided by your guides to disconnect from this matrix and connect directly to the Source. Right now I find myself doing this for many who come to me for a session, but am told that those of you who are ready to let go of all the old energies will be able to be switched over to this new experience of a new life. 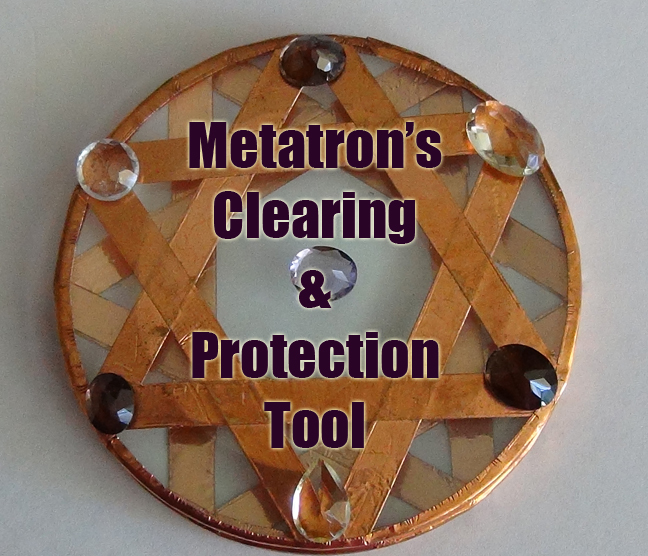 You will be assisted by your guides in releasing the matrix of your own creation. Because, once again, with our thoughts we create reality, and moved into a new direction. Recognizing the purpose of being, the purpose of creation, one walks into the abyss of the heart. Recognizing the purpose of being, and the creation of the soul, one shall begin to examine the ever present reality, of eternal creator within the matrix of creation. For the matrix of creation lives within the creator. Creator is the creation, and the creation is the creator. For one originates from the other, and the other originates from the one, through the torus field of creation, and so it goes. Ever expanding consciousness of being. Ever expanding creation of the creator. Ever expanding creator of the creation. For it is so and so t is. The magnifying energies of the solar plexus which shall be unleashing their effervescence of being, shall begin to be activated from the consonants of the highest octaves of being, from the consonants of the higher order of creation. For the creation that hath and shall and does reside within the solar plexus, shall begin to activate through the tones of ascension, the tones of the creation, the tones of oneness and recognition of that which indeed you are. The tones of benevolence standing before you in all its might and all its glory. The tones of the creation and the tones of the creator intermixing and interweaving into one wholesome whole, bringing forth the continuous cosmic energies of light, the continuous cosmic energies of love, abundance and understanding thereof. For the creation of that which you are, shall spring anew, shall birth a new cognition of the cosmic energies flowing freely into your vehicles of choice. Into your vehicles of ascension. Flowing freely into the sacred space found within the solar plexus of your very being. For within the solar plexus is the channel to the energies of the creator, whereby said energies shall allow the creation to become the creator. Awakening the secret knowledge of the ages, awakening the sacred wisdom with which you have all entered the earthly planes of GAIA. And as such, the awakening of said energies shall propel you further still through the ascension corridor allowing you to play with your newly found freedom of manifestation, allowing you to morph said energies into your chosen pathway of creation, allowing you to create, to manifest the reality of the magnitude which you wish to experience in accord with the sacred tones of ascension. What we are trying to say to you dearly beloveds, is that upon your new moon, the entrance into the golden corridor of creation shall find you as children with play dough, organizing, and morphing said play dough of energies which you shall be radiating rapidly from your vehicle of ascension, into whichever route you will wish to launch such energies. Allowing you to bypass the duality of your being, connecting you directly to the source of all that is, and allowing said energies to manifest the type of experience you wish to see in your daily activities. No longer shall the creative energies be lying dormant therein, for those of you who have indeed emptied your vessels and made room for such an experience. For those of you who have fully and truly let go of all that stood in your way to understanding the true potential of your being, the heavenly doors of your creator shelves shall allow you to bathe in the effervescent energies of the golden particles of god, the golden particles of the creator, the golden particles of the source. That is all that we have for you now, we love you we are with you good bye for now. Here I would like to draw your attention to the article that I saw recently posted on http://www.riseearth.com/ with a fantastic video that explains exactly how our consciousness creates reality. “Consciousness creates reality,” a statement that has gained a lot of attention across various alternative media outlets around the world. Make no mistake, consciousness has (and has been for quite some time) studied by numerous scientists, especially in its relation to quantum physics and how it might be correlated with the nature of our reality. Reblogged this on Angel 4 Light. This really excites the Quantumness in me!!! I feel you’ve covered everything from healing our past to creating limitless possibilities in our future! The videos and posting are Ace! Thankyou AnnA! Sorry about getting over-excited about all of this, it’s just the whole perception and information about a whole new way of ‘looking at reality’ is so dynamically life-altering that it just blows me away!!!!!!! I know, I have a feeling that all this is going to culminate into mass consciousness as all the outdated constructs dismantle. We just all need to know ‘the truths’ first and absorb, forgive etc..
and then start to intiate these ancient teachings with Quantum physics entwined:) Yes, it’s pairing old and new, yin and yang into balance!!! So so so exciting AnnA, thankyou, thankyou, thankyou!!!!!!! harmony with any negative encounter I perceive (especially with myself)!!! I remember AnnA the teeterings of awakening (amidst all the negativity that was absorbed too in that ‘theta- state’ all the way up to being 7 years young:) YeS!!! That pure force ‘crackling’ me to express the unique ‘wave’ that I allowed to ride~that surfs me globally and who knows where else… as you say.. universally too AnnA:) This force passionately, compassionately expresses me to feel as deeply as another resonates me to feel~WoW!! !~be it negatively or positively. And ‘consciously’ now, I intend for transmuting the negativity into joy~this is my JOY~transmuting the outworn into harmony joy!!! Hope I made sense here! Gosh!!! It’s like ‘COMING OUT!! !’ Well it is coming out! The ‘Inside Job’ is Coming Out!!! I know we are all ‘coming out’ in whacky ways AnnA and Iam wholly grateful for the experience ‘cos I really felt at one point we were going to die within like cancer eating away at us!!! 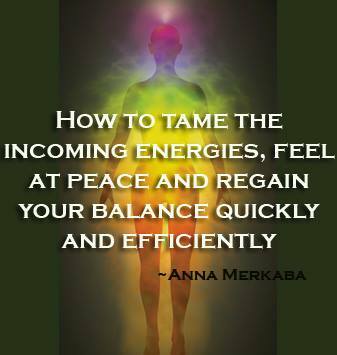 Thankyou AnnA and the ways you allow for us all to encounter and experience the intense joy and other ‘new’ remembered feelings:) What a journey we’re on now without the fear of being supressed, duped and controlled any longer~oh! My!!!!! This whole new way of perceiving can share ‘in the field’ as we consciously intend for this to be so~so Edifyingly brilliant too:) Thankyou AnnA, most loveingly LOVE to you too~don’t know how on earth you manifest those hearts! ❤ ❤ ❤ ~sorry about the rudimentary hearts here!!! I was put in your vision in prophecy. It was a few yrs ago,but i saw and experienced what you saw. I was confused at the time. I didnt see everything. I heard some. Thank you for this heads-up, Anna ❤ Could you please insert the link to the article about letting go? Is it "Release the Trigger and Let It Go"? It wasn't provided in your post. I ask people – why do we have heads, while they ‘re making us so much truobles & if it is Heart the main one!? The individual light shines from Hearth into head (projector/template of individual world). Hair is socket (heaven magic/forces), beard: focalizer or eatrh forces. The holy Apocalypse (greek: fall of the veil of illusion) is so nothing else but change of the diapositive (idea) inserted (by politics, religion, media) in the center of people’ heads. Thank You Anna for your wonderful work. David did experience a few months ago a dream. where he captured a spider in a jar. The spider has been coming up a lot lately in different conversations. the synch events around it, has been popping up everywhere. even your vision, is very synch to what we are experiencing. We Love you sooo. yes I experienced the robot spider 2 times. First time it tried to conect with my forehead to see If i feel myself guilty of anything (karma). I believe that they control us with our sentiment of guilt. I remember Luis:) Your Aluna is shining your thoughts and feelings that indeed do need clearing up:) Yes!!!!! Transmuting to LOve and LIght! Dear Berni2004, I am profoundly touched by your memories, which have transformed into “Living Light” thoughts of support and assistance; which I value and appreciate as liquid pearls from that Ocean of Love! In turn, now it’s me who feels humbled and grateful. Your name lights up too:) How do you do it?!!!!!!!!! I apologize for taking so long to reply to you Berni… it’s been some time since you got back to me and asked me how I do it…In turn I feel that this is a question one should pose to the inner self to allow the reply to unfold from inside out. In my daily life I still struggle with that, but in my case, the only thing that keeps the outward structure from falling is the tread of perseverance…and then again, that tread should not be seen as a buoyant life saver; for at times the aim is not to float on the sea but to merge with the depths of the ocean. The connecting tread keeps the conscience alive, and spared from the inherent fear of drowning. Letting go is not an easy trait, or at least one that most of us have forgotten. Gratefully with a little guidance, such as the one I find in Anna’s biog, we are being empowered and granted access to new pathways of remembrance. Thank you so much Dina!!!!!!! 😀 ❤ I'm so glad! Thank you for your amazing work. There is a very interesting book, “When We Were Gods,” by Carole Chapman that mentions the spider in Atlantis. Also in the book, lots of information about the pyramids (that will be reactivated 2018?) and the creation of the first mortal human, as well as holes in the ground for time/distance travel. It is a fascinating personal account that champions humility (not sure if I agree with that) but it does specifically mention the spider, starting on page 128. She describes a large white spider holding a large crystal with its body and black legs, in an observatory tower in Atlantis. The spider was used like a machine to hold and suspend the great and powerful crystal that produced the power for Atlantis. Fascinating! Warmest wishes to you. The spider reminded my of something that occurred about a month ago. I work with youth, and I was checking on a young man, a 17 year old, one night. He was standing, sleepy, when I entered his room. He told me he had just woken up from a nightmare. In his dream he was on a train, and across from him a young girl was asleep. As he was looking at her, a large neon purple spider came down from above and began feeding on the girl. The young man took out a laser weapon he had (he said this was in a future time), and he was firing the laser at the spider, to try and get it off of the girl, but it did not work. Then the spider began talking to him. It asked him not to hurt him. He said there was trouble in the spider world, and that they had turned on each other, and begun fighting among their own kind. He said he was feeding on the girl to get more energy, but that he was not hurting her, that she would sleep through it. Then the young man woke up, in a bit of a panic, brushing at himself as if there was something (a spider?) on him. WE ALL LOVE YOU=U….IN LOVE…YES !!! Eu e minha família estamos muito agradecidos por lembrar sempre de nós. Tenha a certeza de que estará eternamente em nossos corações como exemplo abnegado de uma vida crística em favor de Gaia e de toda a humanidade. Querida, tenho experenciado diversas dificuldades; tenho sido testado em vários sentidos, contudo grandioso foi o aumento exponencial da minha fé, exercitando junto das pessoas no meu dia a dia sempre compreendendo – as, sendo um amigo com atitudes positivas e amorosas semeando com muita luz, lembrando a todos da inocência das crianças que todas nós já fomos um dia buscando a criança que esta dentro de nós. A alegria espontânea é verdadeira como o amor incondicional que nos faz lembrar que cabe a nós preparar o berço (Gaia) para as nossas crianças para nova era. Sabedoria, paz, amor e alegria de ser um cocriador. Amada Annamerkaba fique em luz querida te amamos. Hello Anna and I thank you in advance for your time and work. My name is Curtis Fox. 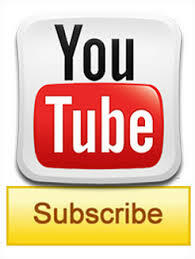 I watched your December 21st video. Great video and information. I have been going through some amazing changes and have committed to change. My own personal saying about change is below. On January 11, 2015 guides and angels spoke to me. They stated “I was being upgraded from a Portal to a Gateway.” What is your opinion and insight on that information. I do want to clarify that I am in constant contact with many beings who are now guiding me in a direction of universal healing and help. It is an amazing experience once you are open to all there is and all life has to offer. I am very grateful and filled with joy, love and peace because of their guidance.